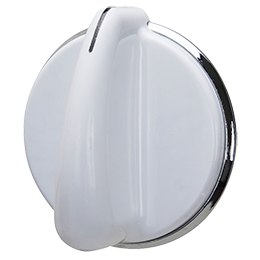 Replace a broken control knob on your GE washer or electric dryer with this replacement white knob. The control knob fits on the rotary switch post on the control panel. Remove an old knob by pulling it straight off the post. Please note that some washers may require 3 knobs.